A Curious Glimpse of Michigan, the book, was nominated for the 2005 Great Lakes Great Book Award. The music album features a song that hit #1 on XM Kids Radio. Audiences all over Michigan are experiencing A Curious Glimpse of Michigan! 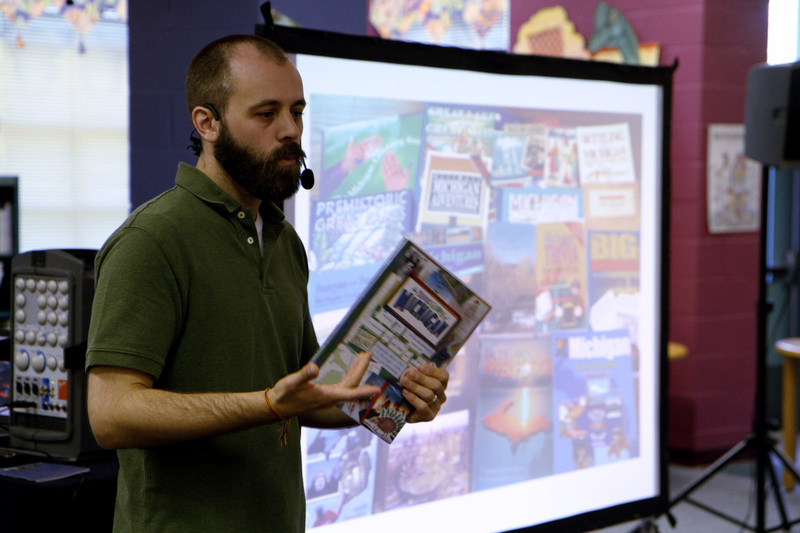 Kevin proudly provides a dynamic, interactive presentation filled with poetry, songs, and trivia all about Michigan! A “behind-the-scenes” look into the making of the book and CD is also part of this Michigan social studies and language arts assembly. - Lots of fun, movement, laughter, and learning! “A Curious Glimpse of Michigan was a BLAST! Interesting Michigan facts and information put to fun, frolicking music the kids remember." "Kevin brings to life the special characteristics of our great state of Michigan in his "Glimpse of Michigan" presentation. 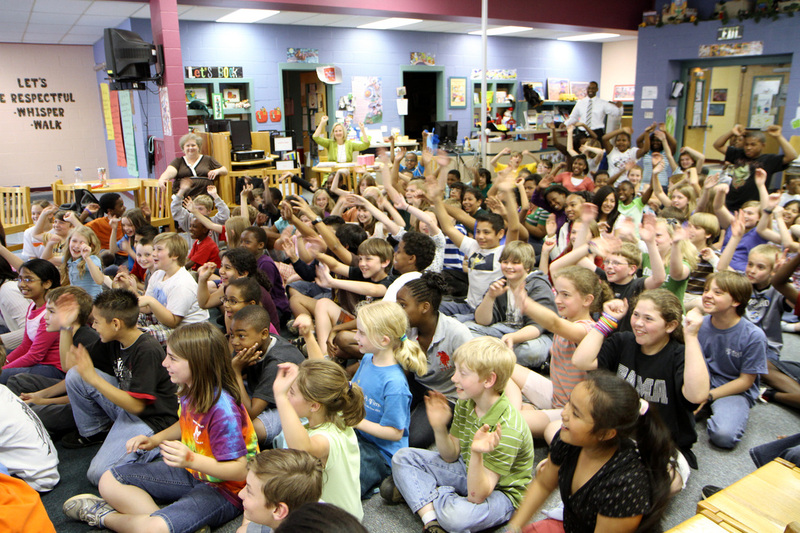 Not only is his performance extremely enjoyable for the students because of Jacob, the sock puppets, and the trivia, but he brings his book to life through the music." Kevin brings his own table, sound system, laptop, projector, and rear-projection screen. All you need to provide is the space and electricity. With this equipment Kevin would appreciate having the room available 45 minutes prior to the scheduled start time.